Cisco users may be familiar with the rules of naming the switch models, such as Cisco 3750-X models, you can know what each Cisco 3750-X model supports. Huawei switches also have their own naming rules. 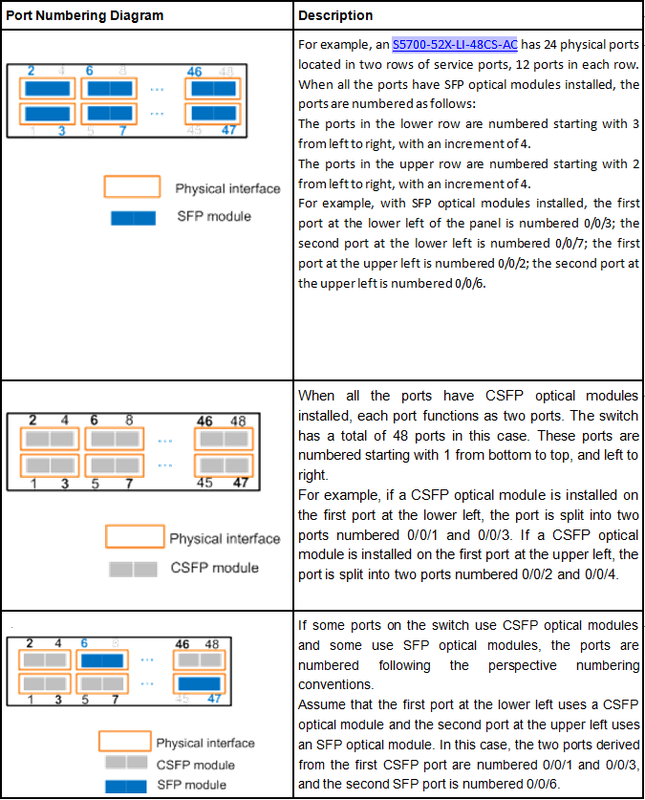 How to read the code of Huawei Switches? In this article, we will take some examples of Huawei S5700 series to help you know what the naming rules of Huawei switches are. 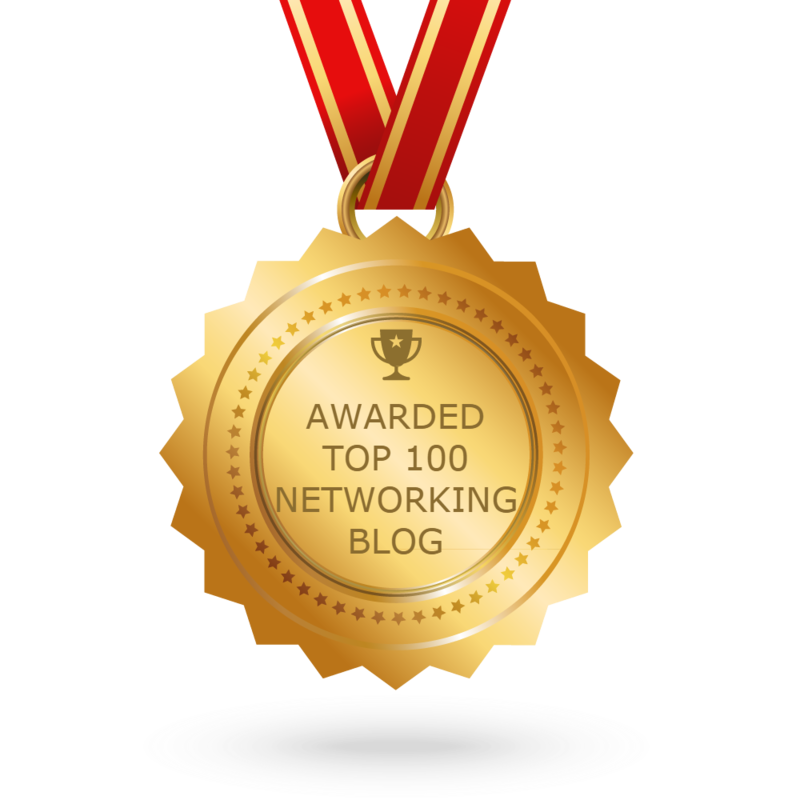 Like the Cisco 3560-X/3750-X, the popular S5700 have various items to meet users’ needs. The Huawei S5700 Series has 4 versions: Limited version (LI), Standard version (SI), Enhanced version (EI), and Advanced version (HI). 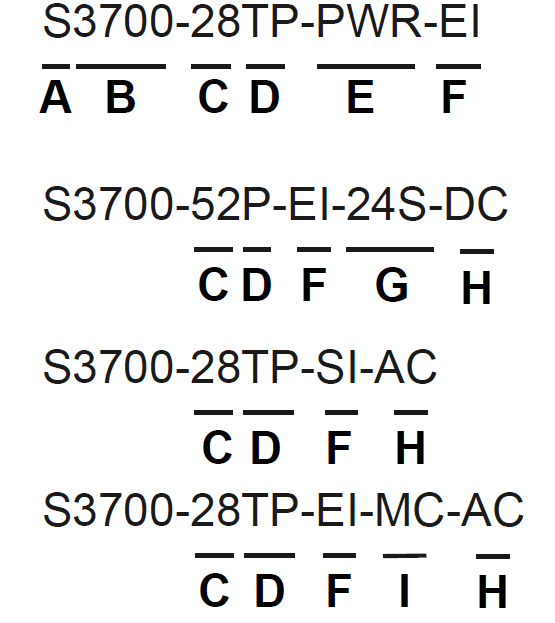 In the following part we will decode the S5700 switches. Do you know what the “ABCDEFGHIJK” stand for? NOTE: If the letter S is not displayed, this model is a non-resale model. 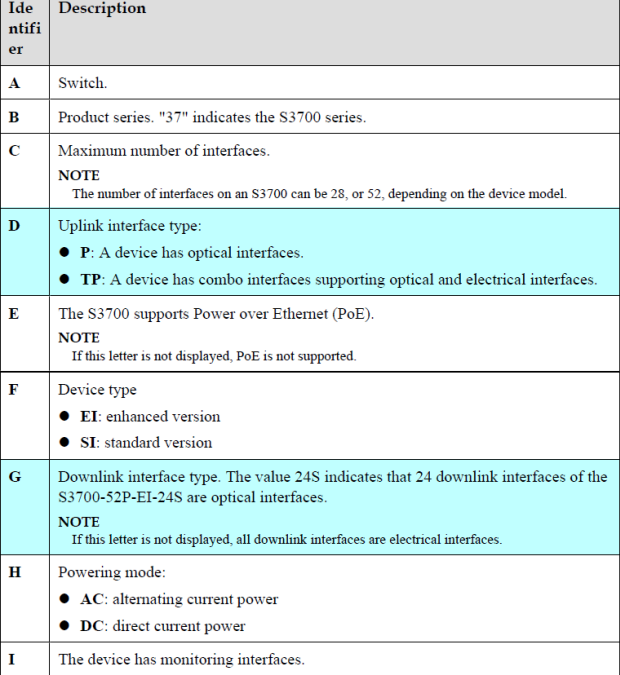 NOTE: On an S5710-EI switch (such as S5710-28C-EI), this field indicates the number of fixed ports on the switch. C: The product can use an extended card to provide uplink ports. X: The product has fixed 10GE uplink ports. TP: The uplink ports of the product are combo ports comprised of optical and electrical ports. P: The uplink ports of the product are fixed GE optical ports. NOTE: If this field is not included, the switch has no uplink port. NOTE: If this field is not included, the switch does not support PoE. 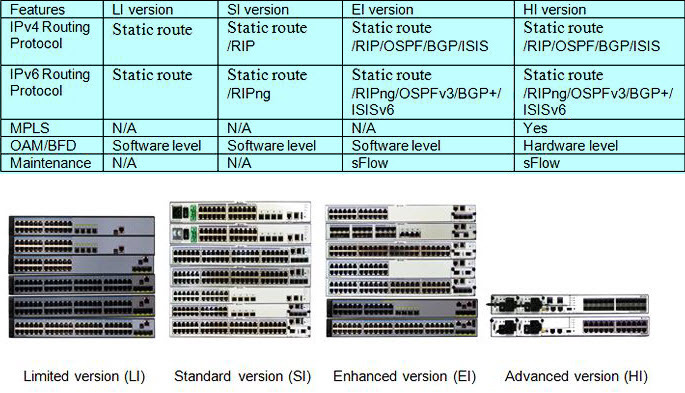 NOTE: If this field is not included, all the downlink ports of the switch are electrical ports. A single switch uses slot ID/subcard ID/port sequence number to identify physical ports. Slot ID: indicates the slot where the switch is located. The value is 0. Subcard ID: indicates the ID of a subcard. Port sequence number: indicates the sequence number of an port on the switch. A stacked switch uses Stack ID/subcard ID/port sequence number to identify physical ports. Stack ID: indicates the ID of a stacked switch. The value ranges from 0 to 8.